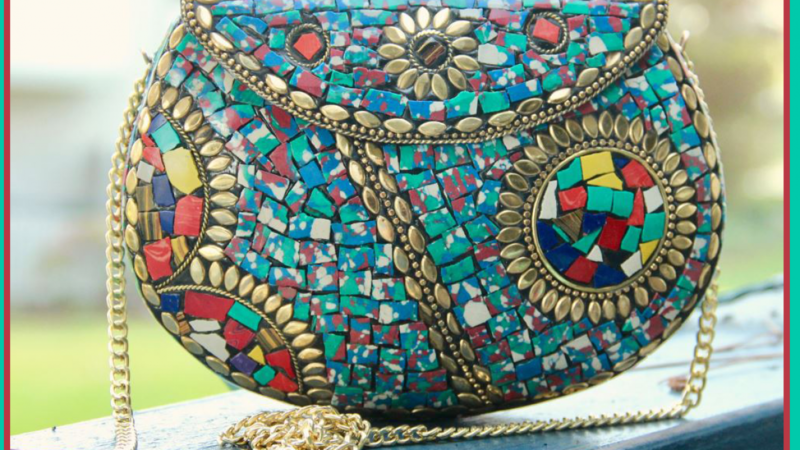 This unique handcrafted colored stone mosaic bag is a beautiful fashion piece. It is sure to add to any outfit because it is so vibrant and colorful. This is a good choice of bag to use when you want to stand out in a crowd. Perfect for when you want to ensure that no one else will be carrying the same handbag that you are. It features ethnic style tribal detailing and a long brass chain. 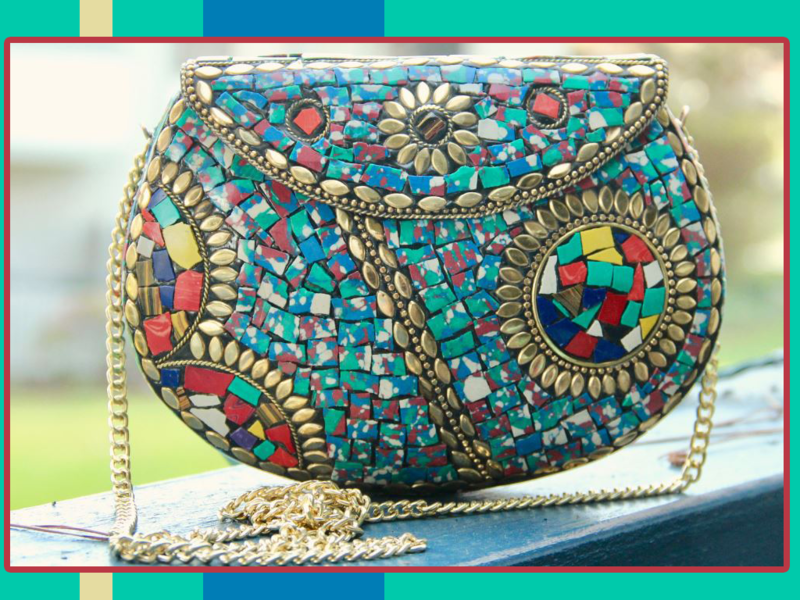 This handbag is so detailed that it is more like a piece of jewellery than a handbag. A great idea for formals, graduations, weddings. special dinners or parties. Can be used as a clutch or a shoulder bag because the chain easily tucks inside of the bag. A very versatile fashion piece that you can use for many different occasions. The bright colors make this a beautiful stand out accessory that is sure to be noticed. Anyone who sees it is sure to notice the unique and exquisite detailing. It looks great with a black outfit or an outfit featuring flat colors because this makes it very noticable. This bag is a wonderful gift idea because it is so fabulous that anyone is sure to love it. If you are buying for someone who already has a lot of handbags this is a great choice. This is because it is unlikely that they already own this bag. If you like this unique handbag you may also like to check out the following cool items.